Many doctors and patients aren't discussing the health consequences of weight. Marcia Noyes, 51, was overweight for most of her life. 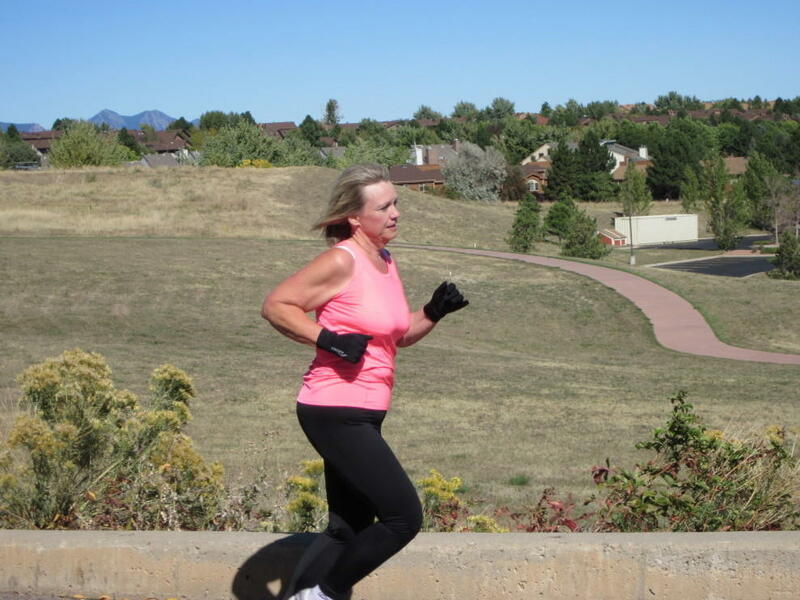 She lost 80 pounds in eight months and qualified for a marathon. Many patients say their doctors don't spend enough time, if any, talking with them about losing weight. But doctors often complain that when they do bring up the issue, nothing changes. Lisa Flowers says weight is something she wishes her doctor would address more directly. At 47, Flowers stands 5 foot 7 and weighs nearly 300 pounds. She wasn't always obese. But after she had a baby five years ago and moved from Washington, D.C., to Delaware, she says her workout and eating habits got off track. Flowers says she's brought up her weight with her doctor, but the topic is "kind of avoided, almost as if he's uncomfortable." "It's sort of a beating around the bush kind of thing," she says. Her doctor, on the other hand, insists that he and Flowers have discussed her weight and strategies to help her shed pounds. But that's not clear in Flowers' medical chart. What is clear, says Yale University psychologist Rebecca Puhl, is that this kind of disconnect between doctors and patients is all too common. 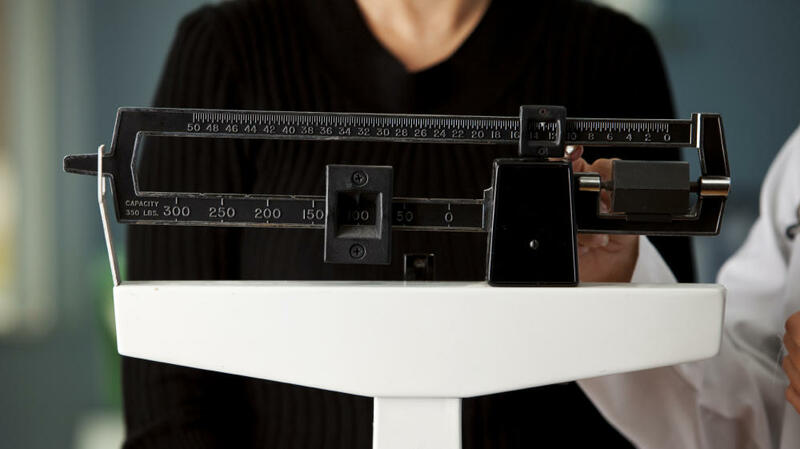 Puhl says just one-third of doctors surveyed say they talk with patients about losing weight. That means two-thirds don't. "When we consider that two-thirds of Americans are overweight or obese, these numbers should be higher," says Puhl, who studies weight-related stigma. "Even patients who are obese report they're not receiving any kind of weight loss advice from physicians." But it's not fair to "blame the doctors" if a patient isn't losing weight, says Dr. Cynthia Ferrier, an internist at GreenField Health in Portland, Ore. More than half of her patients are overweight or obese, and Ferrier says she spends a lot of time talking with them about their weight. Most are pretty savvy, she says — they know that high-fat, high-carb diets aren't healthy. "It's as unreasonable to say I didn't quit smoking because my doctor didn't tell me to as it is to say I didn't lose weight because my doctor didn't tell me to," Ferrier says. "Everybody knows you shouldn't smoke, and everybody knows you should be at a healthy weight. It's not a mystery." Ferrier says there are a number of practical reasons why doctors don't talk with patients about weight. With an average of eight minutes per office visit, many just don't have time. And until recently, doctors weren't reimbursed for weight counseling, only for treating conditions like diabetes and high blood pressure that result from being overweight. And because doctors aren't taught about obesity in medical school, many feel unprepared to bring up the sensitive topic. And with good reason, says Ferrier. "I have had patients tell me that they have cancelled appointments with me because they have not lost enough weight," Ferrier says. "So, I do have to be careful about how strongly I word recommendations so it doesn't scare them off." Yale's Puhl says overweight and obese women can feel stigmatized by their doctors. She points to one recent Yale study that found healthcare providers often view obese patients as "unintelligent, dishonest, lying." For their part, obese patients are often so embarrassed, they stop going to the doctor, even for routine medical care. Marcia Noyes, 51, was overweight for most of her life. Over the years, she says she avoided the doctor at all cost. "It was very shameful — gowns don't fit and you feel like you're looked down on from the nurse to everyone in the doctor's office," she says. When Noyes told her doctor she wanted to lose 80 pounds in eight months in order to qualify for the Boston Marathon, he told her that she should "give it her best shot," but he was clearly not supportive, she says. Eventually, Noyes turned to a friend, a marathon runner who helped her diet and meet her weight-loss goals. Today, Noyes is in marathon training. Ferrier says that for many patients, the motivation they need is straight talk about the health risks they face from being obese. For example, "if I have seen blood sugar go up every year and now it's near pre-diabetic range, I can tell them in very clear terms how likely it is they will be diabetic," with all its severe and costly complications, she says. "If that doesn't motivate them, there's not much more I can say." Many doctors agree: This type of clear and direct approach may be exactly the prescription needed to begin to turn the tide in the battle against obesity. Today in "Your Health," we continue our series "Living Large." Many patients who are overweight say their doctors don't spend enough time, if any, talking with them about losing weight. Doctors often complain that when they do talk with patients about this, nothing changes. And the end result is frustrated patients along with frustrated doctors. Here's NPR's Patti Neighmond. PATTI NEIGHMOND, BYLINE: You could say the frustration's playing itself out right here in the small town of Milford, Delaware - Dr. Domingo Aviado's scale. It's the first stop for all his patients. NEIGHMOND: And most of Aviado's patients are overweight or obese, like 47-year-old Lisa Flowers. LISA FLOWERS: You know, I used to call myself voluptuous. I am so past the point of voluptuous now. NEIGHMOND: At 5-foot-7 and nearly 300 pounds, Flowers is obese. And most of that weight was gained over the past five years, since having a child and moving to Milford, where she's been under Dr. Aviado's care. And here's where the story gets complicated. Flowers says Aviado never discusses her weight. FLOWERS: You're weighed every single time you go to his office, but he doesn't ever talk about it. So you're kind of like, all right, so why did we go through that if we're not going to talk about it? AVIADO: I have talked to her in the past. I was actually going to pull up her chart so I can refresh my memory. NEIGHMOND: But when Dr. Aviado looks at Flowers' chart, he doesn't find any record of discussions about weight loss. AVIADO: I'm trying to find the visit you're asking about. And I'm sure - I know I've - just refreshing my memory - I know I've talked to her about weight and different strategies to lose weight. But sometimes, I don't document those because the insurance companies don't pay for those visits if it's just about weight. NEIGHMOND: Flowers' body mass index is noted. And Aviado says he is concerned about the medical consequences of her weight. AVIADO: She's at high risk of heart disease. She's at risk for developing diabetes and osteoarthritis of her knees and hips. NEIGHMOND: All problems, Flowers says, he hasn't discussed with her. FLOWERS: It's kind of just been beating-around-the-bush kind of thing. Like I will say, you know, I'm really concerned about the amount of weight I've gained here. You know, my back hurts; my knees hurt. You know, is there anything that I can do? And it's kind of avoided. You know, it's almost as if he's uncomfortable. NEIGHMOND: Dr. Aviado says he's not uncomfortable. And he says on some visits, Flowers just didn't want to be weighed. AVIADO: If someone refuses, I take that as a signal they're not ready to talk about their weight. NEIGHMOND: Flowers says it's not true. She never refused to be weighed. Clearly, Dr. Aviado and Lisa Flowers see things differently. But this much is obvious: Discussion has not been direct. According to researchers, this type of disconnect is going on all across the country. Yale University psychologist Rebecca Puhl says just one-third of doctors surveyed say they talk with patients about losing weight. That means two-thirds don't. DR. REBECCA PUHL: And when we consider that two-thirds of Americans are overweight and obese, these numbers need to be a lot higher. And we're seeing that even among patients who are obese, they report that they're not receiving any kind of weight-loss advice or counseling from physicians. NEIGHMOND: So in a country with a rampant obesity epidemic, many doctors just aren't talking to patients about the health consequences. DR. CYNTHIA FERRIER: I do not think it's fair to blame the doctor if a person has not lost weight. NEIGHMOND: At the Greenfield Health Clinic in Portland, Oregon, internist Cynthia Ferrier spends lots of time talking with her patients about their weight. And she says most are pretty savvy. They know that high fat, high-carb diets aren't healthy. FERRIER: It's as unreasonable to say, I didn't quit smoking because my doctor didn't tell me to, as it is to say, I didn't lose weight because my doctor didn't tell me to. Everybody knows that you shouldn't smoke. And everybody knows you should be at a healthy weight. It's not a mystery. NEIGHMOND: Ferrier says there are a number of reasons why doctors don't talk with patients about weight. With an average of eight minutes per office visit, many just don't have time. And until recently, they weren't reimbursed for weight counseling, only for treating conditions - like diabetes and high blood pressure - that result from being overweight. FERRIER: I have had patients tell me that they will - have canceled appointments with me because they have not been able to lose enough weight. So I do have to be careful about how strongly I word weight-loss recommendations - so it doesn't scare them off and make them say well, I'm never going back to see her again. NEIGHMOND: One study found overweight and obese women felt stigmatized by their doctors and often, stopped going in for routine care. MARCIA NOYES: I avoided the doctor at all cost. NOYES: It was very shameful, you know. Gowns don't fit. You just feel like you're looked down upon by everybody, from the nurse to everyone in the doctor's office. NEIGHMOND: Noyes was the overweight child, the overweight teen, the overweight adult - who felt constantly judged by others, and viewed as fat and lazy. NOYES: Every birthday that I ever had with the cake and the candles, I wished to be thin - for 50 years. That was my wish. NEIGHMOND: And when Noyes decided to try to lose weight for good, she didn't get the help she wanted from her doctor. NOYES: I said to my general practitioner, I want to lose 80 pounds in eight months, and I want to qualify for the Boston Marathon. Do you think it's possible? And he kind of looked at me and gave me an offhanded, yeah, well, it's possible but not likely that you can do that. But you know, give it your best shot. NEIGHMOND: Not the motivation she hoped for, says Noyes, who eventually turned to a friend - a marathon runner - who offered the support she needed. NOYES: My God, I'm running 26 miles now. I'm running a 10K every day. Noyes did lose 80 pounds in eight months. Now, she's training for her second marathon. And when she went back to see her doctor, he was - obviously - stunned. He couldn't believe that someone my age could make that much change in their body. I think he's used to people choosing gastric bypass when they're as overweight as I was and I simply did it by eating right, and exercising every day. NEIGHMOND: Eating right and exercising every day is, of course, the key to curbing obesity, but doctors need to be in the loop. One way, says Dr. Cynthia Ferrier: be honest and direct with patients about health risks. FERRIER: How likely it is that something will happen soon. Like, if I have seen their blood sugar go up every year and now it's to the near-diabetic range, I can tell them in very clear terms how likely it is that they will be diabetic, and complications of that. And if that doesn't motivate them, there's not much more I can say. NEIGHMOND: This approach worked for Ferrier's patient Linda Teufel, who was dangerously overweight at nearly 300 pounds. LINDA TEUFEL: Dr. Ferrier telling me I was going to be diabetic if I didn't do something right away, that was my motivation. And she wasn't threatening; she was very kind about it. But it scared the daylights out of me. NEIGHMOND: Teufel quickly lost 20 pounds. TEUFEL: Immediately, my blood sugar came down - almost immediately. NEIGHMOND: Teufel went on a strict diet and eventually, lost 100 pounds. She credits Dr. Ferrier's direct and diplomatic discussion for her success. It was just the prescription she needed. Many say it's a prescription that's essential if the country is to make a dent in this dangerous obesity epidemic. Patti Neighmond NPR News. Transcript provided by NPR, Copyright NPR.